Type A in the worst possible way. Mix the salt into the semolina. Form a well and pour in the eggs, oil, and water. Combine the ingredients with a fork. Knead the dough for about 10 minutes until it is elastic and no longer sticky. Let the dough rest and relax in a zip-lock bag for 20 minutes. Separate the dough into 8 workable-sized pieces and roll out each piece as thin as possible. 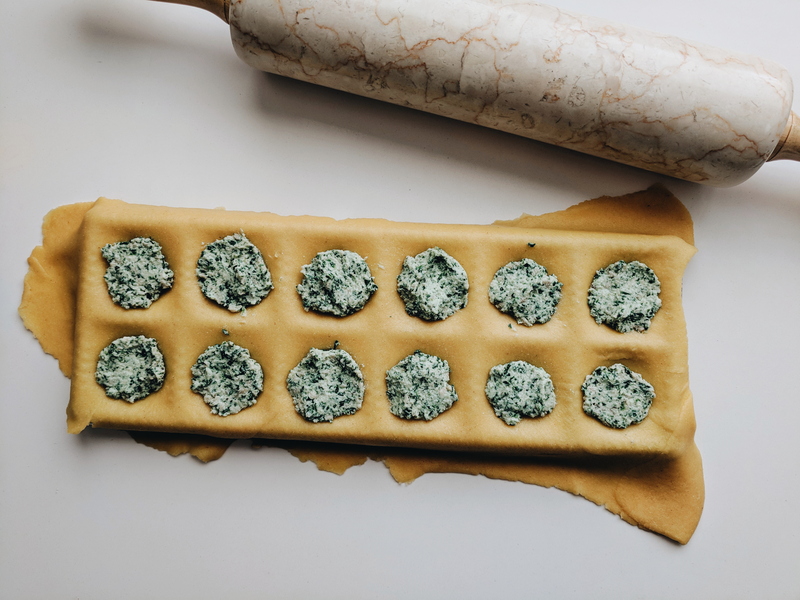 Make the filling by pulsing the ricotta, parmesan, spinach, sausage, egg, salt, and pepper in a food processor. 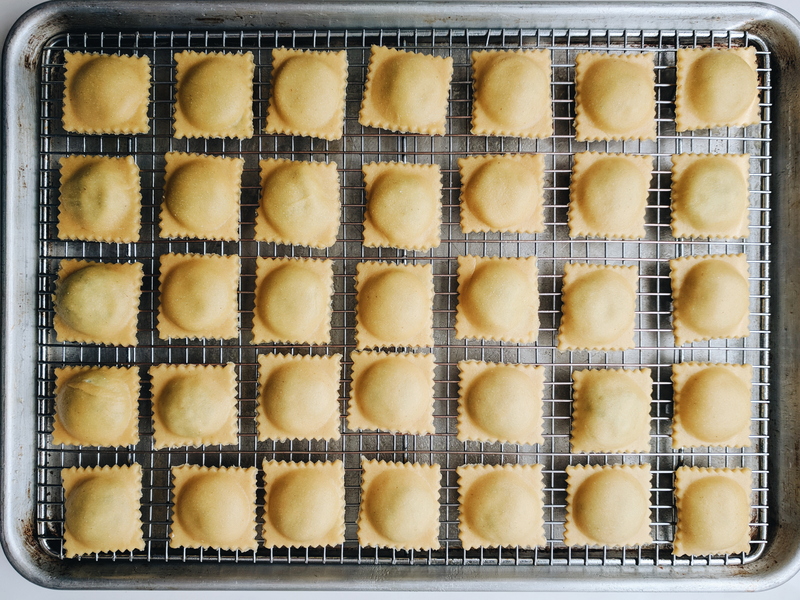 Form and fill the pasta using a ravioli maker. 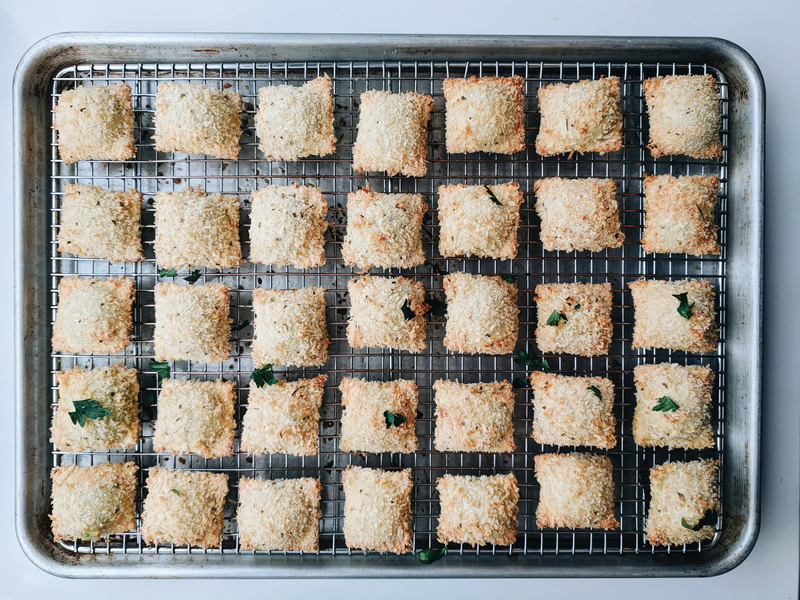 Combine the breadcrumbs, oregano, parmesan, salt, and pepper. 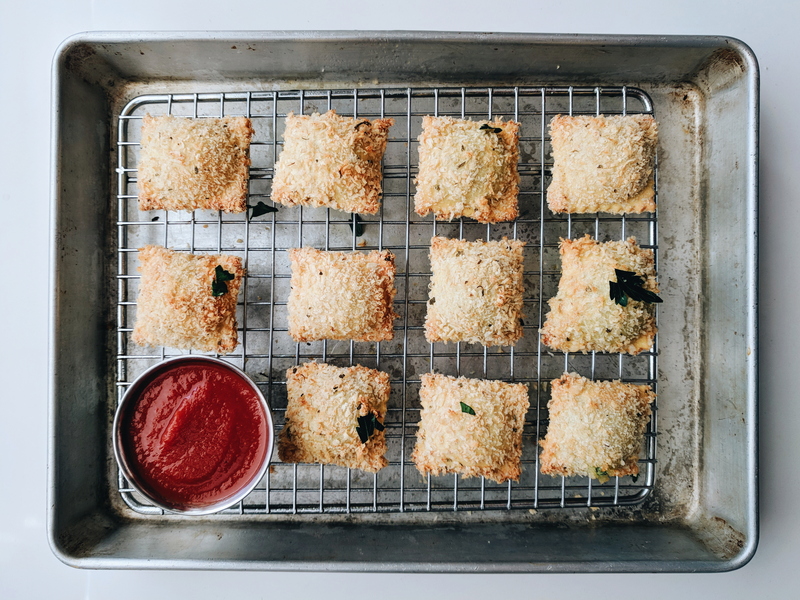 Dip each ravioli in the beaten egg, drain, then toss in the breadcrumbs. Bake on a wire rack at 375°F for 15-20 minutes, or until golden. Serve with you favorite dipping sauce.